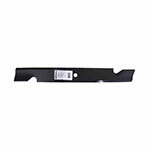 Find quality replacement parts for turf mowers: bed knives, reels, rollers, tines, and turf blades. We also carry lapping compound to keep those turf mower blades cutting with precision. You can browse through our intuitive product categories below or simply type in your OEM part number, aftermarket part number, or just part name into the powerful site search at the top of this page.